Image courtesy of the New England Aquarium. 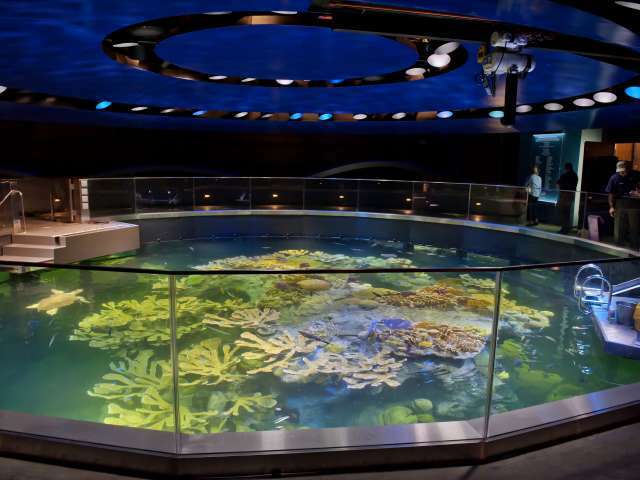 The New England Aquarium's Giant Ocean Tank has been given a top-to-bottom, 21st-century transformation. 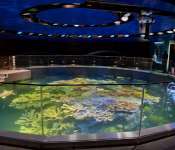 The four-story exhibit has a new coral reef, more than 2,000 animals and bigger windows made of a crystal-clear acrylic.